Join us on Friday, December 15, at 9:30 a.m. EST, for a webinar that examines how Black Friday 2017 and the Cyber Monday weekend performed across our global network. Black Friday 2017 saw Awin’s network track almost $173m in revenue for our 6,000 advertiser partners, with publishers generating sales in nearly 200 countries worldwide. 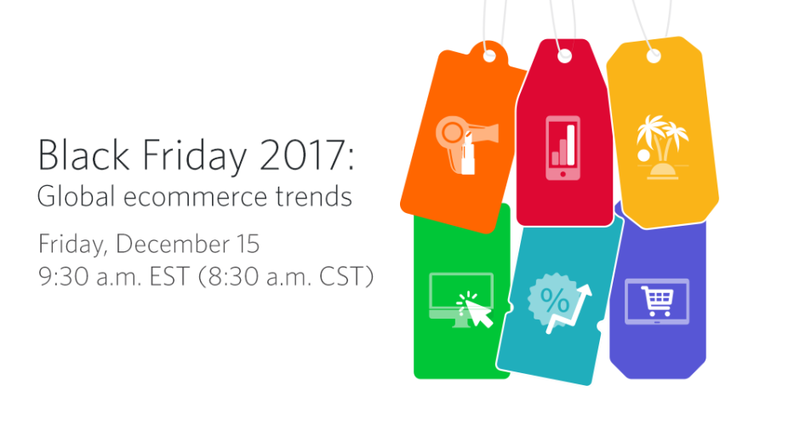 Join Awin’s Global Strategy team Friday, December 15, at 9:30 a.m. EST, for an in-depth look at what trends emerged from this activity and how the nature of Black Friday is evolving as more nations adopt this online shopping phenomenon. If you are unable to attend, you will be able to find the recording on Awin's social media channels shortly after the event.